The immigration program that lands you in kangaroo land was slightly modified by the Australia Government. 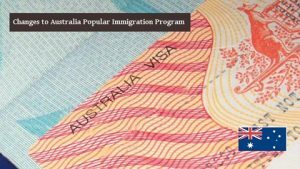 The popular skilled visa subclass 457 underwent a change after an announcement made by the Australia’s immigration Minister Peter Dutton. The changes are effective from 19th November 2016. The new changes reduced the duration of stay from 90 to 60 days post the employment contract. The popular program allows the Australian Business Establishments to recruit the foreign nationals in case of non-availability of desired skills from the local talent. The modified changes will have a minute impact; it does not contain employers from recruiting foreign talent. The Minister stressed the importance of foreign nationals’ contribution to the Australian society. He opined that the visa program should not act a substitute for Australian workers; instead, it should act as an addition during non-availability. The changes were introduced such that the international talent should not create a competitive atmosphere in Australia. As the program demands the beneficiary to work under an approved employer, he/she cannot avail any unemployment benefits too. The changes intended to safeguard the interests of Australian workers without affecting the international workers. The Skilled Visa subclass 457 is the most popular program and there are numerous industries of Australia that rely on this visa. Digital industry is one such industry which hires international talent. Immigration is an economic idea; none can contain the talent influx into their country. May be the world is looking towards Donald Trump! But, he was the businessman before becoming the president of the United States. He understands the importance of skilled workers; it was just an election rhetoric. It could be Australia, The United States of America, the United Kingdom or any other developed world none can contain the talent.